Alex Gibney’s “The Inventor: Out for Blood in Silicon Valley” contains the latest fascinating fraud from the saga of Silicon Valley wiz kids, and is worthy of discussion next to Hulu’s Fyre Festival documentary, “Fyre Fraud.” While Holmes might be much smarter than Fyre Festival guru Billy McFarland, she’s a fascinating parallel: both are clearly detached from a reality that has consequences, living within big lies that eventually catch up with them. But Holmes’ story is arguably darker, as she invented a supposedly game-changing healthcare product that never delivered, but was supported by a cult mentality of workers sticking to her “vision” or else. Her bizarre tale shows how the Silicon Valley dreams of being the next Steve Jobs have clearly made for some dangerous delusions. There was a time just a few years ago in which Elizabeth Holmes was considered to be the next genius of Silicon Valley, just like her idol, Jobs. At 19, she founded a Silicon Valley company called Theranos that promised to offer affordable blood work for Americans outside of physician visits, in order for them to know earlier than later anything that might be in their system. It was going to revolutionize healthcare. The key product from this business was a machine called The Edison, which would take a pinprick of blood and be able to check it for different diseases and problems. Or so it seemed, for years, as Holmes sold the world the idea of her brilliance while the item itself did not fully work. But still, she was seen as a young prodigy, who had received the support of people like General Mattis, Robert Kraft, Henry Kissinger, Joe Biden and others. Gibney has an assuredly fascinating subject, but there are a few nagging factors that prevent full immersion into this saga. First, it becomes confusing as to when certain footage of Holmes in the office or the lab was shot, and if they were made by Gibney himself (for example, she has a few Errol Morris-esque interviews, which are later revealed to be indeed done by Errol Morris). Second, in his fervor to sell you on this story and to keep you interested, some filmmaking techniques tend toward corny, like his opening voiceover telling you that this is “a compelling story,” or tacky graphics that get in your face, like a pair of dice being thrown to illustrate a metaphor. And as for the curiosity, sometimes it leads on tangents, taking away from the tightness: it doesn’t make the documentary any more interesting when Gibney answers aloud, “What does it mean to invent something?” and then tries to answer that question himself. But when “The Inventor” is running through the small downfall of Theranos, the whistleblowers and Holmes’ own detachment from reality, the documentary can be fascinating. Perhaps most effectively, Gibney shares his curiosity about Holmes large, round eyes, which never blink. Sometimes the camera zooms in and out of them, and they're the film's biggest question mark. Gibney remains a curious yet largely focused director—he wants to know how all this happened, though he is absolutely certain that she is a fraud. "Stories are all the same these days.” That’s the last line of Ritesh Batra’s surprisingly dull Premiere title “Photograph,” as spoken in a movie theater before its main characters exit. It arrives like an explanation for the lack of tension and script before it, in which Batra's dreams of a delicate love story offer too little substance. 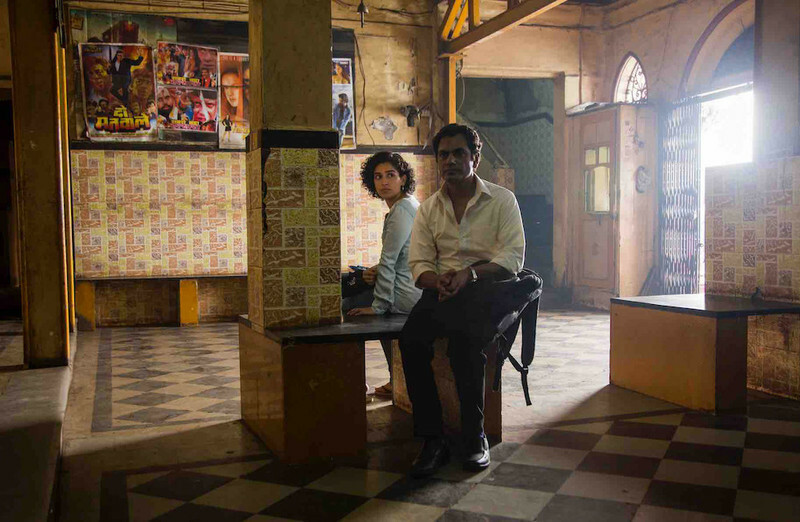 The story here starts quaintly enough: a bachelor named Rafi (Nawazuddin Siddiqui) who takes photographs in Mumbai is beguiled by one of his customers, a student named Miloni (Sanya Malhotra). But as circumstances go she does not pay him, and he doesn’t get her name. He searches for her around the city in a few gentle scenes, until serendipity brings them back together—they’re both on the bus, and he finally gets the courage to sit next to her. This begins a very slow-building romance, in this case involving Rafi convincing Miloni to pretend to be his girlfriend when his grandmother comes to town. Miloni goes along with this so easily, so cordially, that it’s hard to worry about them getting together in the end. It’s arguable that the best moments in “Photograph” are when Miloni and Rafi are not together. Batra gives a sense of their interior lives, going so far as to isolate them with his camera’s focus—sometimes Rafi’s friends and roommates are out of focus when he sits with them, they're fuzzy in the background like hazy thoughts, good and bad bobbling around his brain. And then there’s the scenes in which Miloni ponders quietly about moving away from the city, and gets a sense from the family’s help of what it feels like to belong, and not belong, in the place you live. But the pacing, wow—the movie isn’t so much deliberate as it is ruthless, refusing to offer anything for us to worry about. As pure as his intentions are, Rafi comes off less romantic than pathetic, creating this lie for his grandma because he's too shy to act upon Miloni's clear interest in him. Miloni is the answer to his problems, the movie states. But it’s such an obvious conclusion, regardless of the whimsy that takes us to it. Programmed as part of the festival’s World Cinema Premieres section after having its debut at Rotterdam this year, Sacha Polak's "Dirty God" tells of a London woman named Jade (Vicky Knight) trying to pull her life together after a traumatic assault by her boyfriend. He poured acid on her, leading to disfigurement and burns on her body. It changes the way that people interact with her, and progressively isolates her from the world. She clashes with her mother, and becomes estranged from her baby. Jade loses stability in her life across the board, and "Dirty God" observes Jade as she tries to find it again. Along with its narrative attention to disfigurement, "Dirty God" also has some notes on motherhood, friendship, coming of age, responsibility. And in a deeper sense, the premise makes you even more conscious of what appearance is considered normal by an albeit ridiculous standard. But even with all of these ideas, the narrative of "Dirty God" feels too narrow and straightforward. As it struggles to justify its feature length, the film plays out like a too-literal tale of learning to be comfortable in one’s own skin.